During the last 10 years Project and Portfolio Management (PPM) technology has greatly matured offering the desperately needed platform to facilitate the challenge of managing project information, improving collaboration among stakeholders and delivering critical status reports for multi-project environments. Like so many enterprise systems, PPM solutions are excellent at easily capturing the information needed. Where these offerings vary is the effectiveness in extracting and communicating relevant project information to improve the decision making capabilities of project management practitioners. A solid PPM strategy understands the power of analytics and how it can be leveraged to not only track project progress, but more importantly track project performance. In this paper, I will be exploring the importance of solid analytics in a PPM strategy that can take your organization to the next level by developing a performance management strategy that will impact your project’s success. Most project environments are excellent in capturing all the details pertaining to their projects. The challenge lies in developing the best reports and accessing those reports effectively to make strategic and informed decisions. The reality is, most project environments only see the tip of the iceberg to make tactical decisions in ensuring their projects are on time, within budget and with specifications. The proper use of analytics can provide a wealth of information to turn your projects into strategic activities that can impact the organization as a whole. Where do we stand on plan vs. actual activities? Are we meeting milestone and deliverable dates? Are we exceeding planned budgets? What is the overall status and where are the bottlenecks in the project? There is a common thread that ties these reports. These reports deliver a monolithic view of your project environment. Although this tactical data is necessary for a project’s success, these reports typically deliver information from the view of a single project. This siloed viewpoint does not address the overall impact of a project in relation to the rest of the organization it serves as well as other projects, programs and portfolios that may be affected by its actions. For most organizations, projects do not work in a vacuum. The actions taken in one projects directly impact the available resources, costs, and overall alignment to the organization and its strategic objectives. In order for organizations to take their basic project reporting from siloed data to true project analytics, there needs to be a consolidation and organization of project data across all projects. Project analytics demand multi-project visibility that delivers relevant, actionable and strategic information for all projects stakeholders based on the input of project data residing in time sheets, budget records, plans and schedules. Project managers need to have the ability to see the actual workload of the resources assigned to multiple projects; PMO leaders need to assess the viability of projects within a portfolio; Management needs to see if projects are meeting Key Performance Indicators (KPIs); and clients need to have access to relevant data to see the progress of their projects. An effective project analytics strategy requires the ability to mine all the critical information inputted in both unstructured data sources (documents, spreadsheets and email) and structured sources (such as a project database). In many project-centric organizations project management practitioners and leaders are faced with the same predicament of making their decisions based on partial information. What this creates is “Project Tunnel Vision” that may push forward a project’s progress along its path but does not consider the impact these tactical decisions can have on the overall success of the organizations they serve. Only by diving below the waters of the project iceberg will you be able truly reveal the true state of a project. Project Tunnel Vision is more than just the lack of data and limitations on reporting. The fact is the tunnel vision syndrome begins with the people and culture of running projects. When it comes to project management, many organizations tend to work reactively. Project leaders are assigned whatever projects are deemed to be important and are tasked to focus their energies in delivering the best possible outcome. Relatively speaking, strategic project management concepts of a Project Management Office (PMO) and Project Portfolio Management (PPM) are new to most organizations. Both these concepts are excellent examples of where project-centric organizations need to go in order to strategically respond to their active projects and the people responsible for their success. However, not all organizations are prepared or have the knowledge to move from a more tactical approach to a strategic mindset. This shift can only begin by first evaluating your current state of affairs and developing a plan of action to take your projects to the next level. In order to take your projects and its drivers to the next level, it is key to include an analytics strategy in your overall PPM and governance framework. The Business Performance Management (BPM) world has a lot that it can share in assisting project-centric organizations in this regard. Business Performance Management (BPM) is a discipline that grew out of the Business Intelligence world. BPM allows companies to mine business data from various sources, analyze it and take appropriate action. Through the continuous review of relevant dashboards, BPM delivers the strategic information to facilitate business leaders to gauge and monitor specific business activities and their staff against predefined targets. The primary goal of BPM is to identify problem areas quickly and better forecast results. 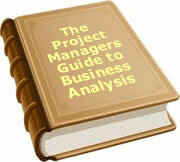 BPM is also used for risk analysis and to conduct what-if scenarios to improve future performance. Although BPM is commonly used in areas such as operational performance, sales performance and financial performance, the project management world has been inconsistent in its usage. The concept of a balance score card is an excellent example of a BPM methodology often not employed by many project management groups. Balance score cards have been at the center of the BPM world since its beginnings incorporating both financial and non-financial metrics to monitor the performance of an organization’s metrics against specific targets. In addition, methodologies such as Activity-Based Costing (ABC) also popularized by BPM can provide excellent insight to projects by assigning cost values to all activities and resources impacting projects and their stakeholders. These BPM methodologies and others that are commonly employed by businesses can deliver the much needed value to an organization’s portfolio of projects both at the macro and micro levels allowing project leaders to make strategic decisions and ensure that their projects are performing to what is expected. How easily accessible is their project data? Is data siloed? Is it centralized? What are the primary components that need to be assessed across all projects? Is it resource-driven? Is it budget-driven? What are their organizations goals and targets? How will they be measured? Do they have defined KPIs in place? What is their risk management strategy? What kind of tools do they have in place to conduct what-if analysis? Organizations with mature project environments understand that a well thought out governance framework and a Project Portfolio Management (PPM) strategy is the first step in identifying what metric and analytics are needed to improve the performance of their projects. However beyond the framework, PPM means mining the mission critical project data captured throughout your organization and measuring its performance against the corporate goals and Key Performance Indicators (KPIs) initially set forth. Although many models of measurement are readily available, the biggest challenge lies in quickly accessing the data from multiple sources, massaging the information and then providing the relevant results to the appropriate decision makers. Consequently, true project analytics means that organizations need to treat and respond to their project information with the same conviction and care as their colleagues are currently doing in sales, operations and finance. To date, 3 people have rated this article. The average rating is 3.67 - Add your rating. Just select a rating and click the button. No other information required.